Artificial turf is great for your balcony. Get rid of that boring concrete! 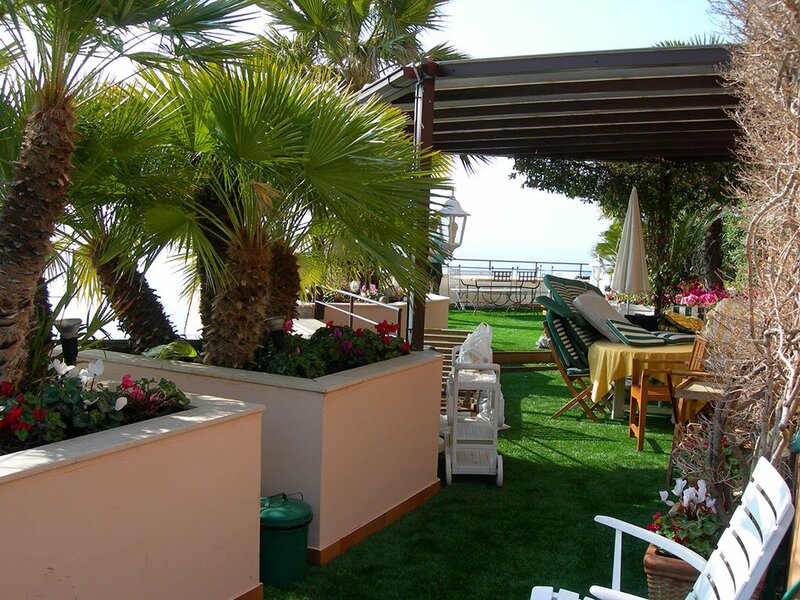 Make your balcony a cool place to hang out by covering it with Royal Grass® artificial grass. Your balcony will look amazing with Royal Grass®. The artificial grass will last for a long time with low maintenance needs. Once the artificial turf has been installed you will enjoy it for many years. Speaking of installation, this is also nothing to worry about. You can easily do it yourself. Often you only need a grass carpet in one piece, so no cuts or seams. Simply roll the carpet out over your balcony. That really is all there is to it. Please note that the concrete of your balcony must be even. Make sure the water drainage on your balcony is good. Most balconies are constructed in such a way that rain does not stay on it and your artificial grass will not remain wet for too long. After all, you do not want to step out onto a squishy carpet. You can also use drainage tiles as base. They are designed to collect and redirect water to avoid any moisture problems. 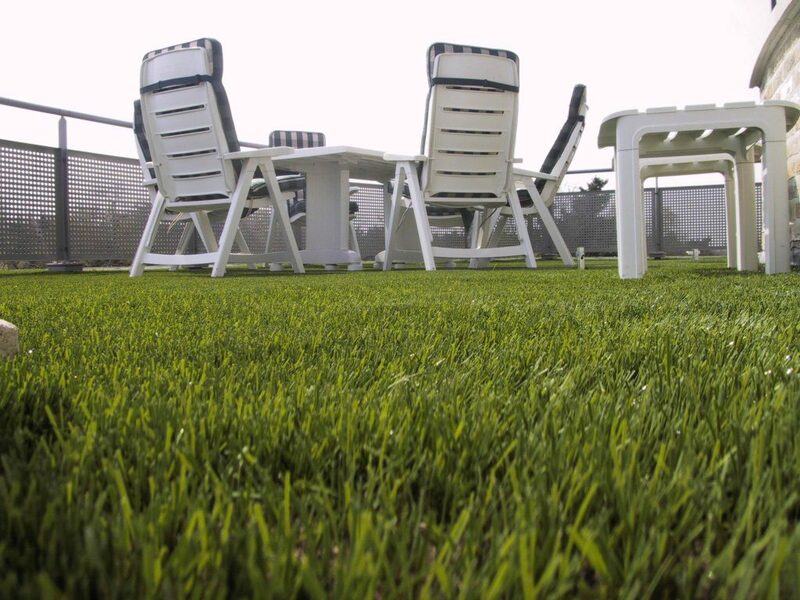 Artificial grass is also suitable for wooden decks on your terrace or balcony. When installing the artificial lawn make sure the joints between each pair of boards are connected seamlessly. Please bear in mind that wood may stay wet underneath the grass causing it to rot. Water drainage is of utmost importance in this case. A patio is an outdoor living space, often adjoining your house and garden. Normally, a patio is used very intensively for dining, relaxation and come to gather with family and friends. Patios are usually made of a hard surfacing; paved, made of concrete, gravel, flagstone or other materials. We think artificial grass is very suitable for a patio. It can be used intensively and creates a friendly and relaxed ambience.